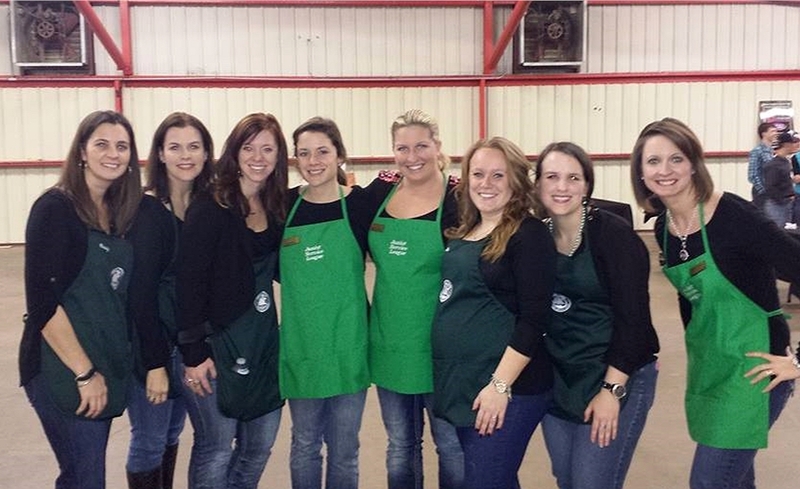 We had the great pleasure to volunteer at the Wounded Warrior Banquet last night. It was truly an honor to be in the presence of so many brave souls who have served our country. Many have sacrificed not only time with their family when deployed, but their physical health as well. We owe all of our veterans the greatest appreciation and love for their valiant service. It was a great evening with over 1100 people in attendance. The ladies of the JSL helped in seating guests, serving food at the buffet, silent auction tallying, packaging of items, presentation of live auction items, and checkout. Each of us was glad to have volunteered and look forward to helping in the future. For more information about the Wounded Warrior Banquet, check out the Huntsville Item article here.